It is obligatory to install fog lights in buses only. Is turned-on automatically when it is foggy. the rear fog lights can only be turned on if the front lights are on. Is turned-on only while driving in reverse. What is the statutory obligation to slow down which applies to drivers? To slow down when the vehicle is packed with passengers. To slow down to a reasonable speed, at the driver’s discretion, without stopping. 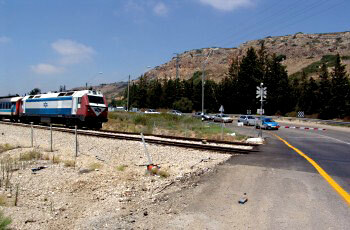 To slow down before level crossings with a traffic light and with a barrier. To slow down the vehicle and even stop whenever danger is anticipated. What is a driver required to do when one of his two headlights malfunctions during “light time”? He must stop. It is forbidden to continue driving. He should keep driving. It is permitted to continue driving slowly until the nearest garage. It is forbidden to continue driving only if the high beam malfunctions. It is forbidden to continue driving only if the low beam malfunctions. During “light time”, when are you permitted to use the vehicle’s high beam? On a non-urban road, when driving within a row of vehicles. On an urban road with street lights and on a non-urban road. On an inter-urban roadway, when allowed by traffic conditions and there is no vehicle ahead of you. How will you stand a vehicle on a downhill road? Engage the parking brake, turn the front wheels towards the road’s edge and shift into reverse gear (manual car only). Turn the front wheels towards the road’s edge and shift into forward gear (In an automatic car – P). Engage the handbrake and turn the front wheels towards the center of the road. Turn on the parking lights, turn the front wheels towards the road’s edge and shift into reverse gear. How would you (vehicle no. 2) conduct yourself in the following intersection? 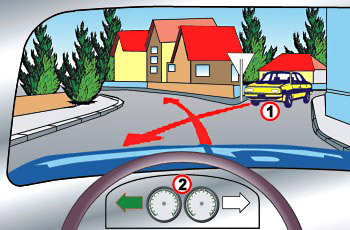 Continue driving carefully, while keeping eye contact with the yellow vehicle (1) which should yield. Wait and allow the yellow vehicle (1) to cross before you. Stop (2) before entering the intersection and observe the condition of the traffic and of the traffic signs. Give right of way to the yellow vehicle (1), because it is coming from your right. Is allowed when there are designated markings on the road. Is forbidden, except for motor scooters and motorcycles. Is forbidden, except for vehicles in a length of 3.5 meters or less. Is only allowed in a wide roadway. 2mm, excluding the spare tire. 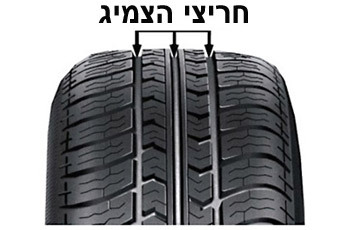 2cm, including the spare tire. 2cm, excluding the spare tire. 2mm, including the spare tire. Is it permitted to load or unload passengers on a freeway (motorway)? Inform about it to the police. The municipality or the Public Works Department is responsible to clear it away. Inform the police and the insurance company. Stop immediately, and make sure that the falling freight is cleared away immediately. What is the meaning of a “vehicle non-use notice” (taking a vehicle off the road)? Are merely recommendations. Only a court of law is authorized to impose correctional measures, based on the point system. 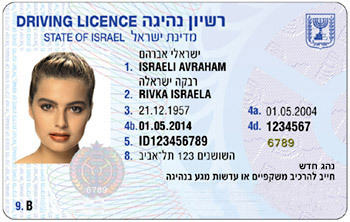 Come to replace traffic offence related convictions..
Do not include driver’s license revocation (Only a police officer is permitted to revoke a driver’s license). Are additional to any other sanction that is imposed on a driver by a court of law due to traffic offenses. Can a person drive a vehicle immediately after taking medications which have effect on his fitness to drive? Not stopping next to a “falling rocks” sign. What is a “breathalyzer test”? A test of exhaled air by means of a device that provides information about a person’s blood alcohol level. A stress test measuring the air quantity that enters the driver’s lungs while driving. A test in which a person exhales into a device that gives information about his lung volume. A test performed for new-driver applicants by a family doctor, at the requirement of the Licensing Authority. Not stopping where a “right of way” signpost is placed. Not stopping before a level crossing, when stopping is imperative. Is it obligatory to obey the directions and signals of a municipal inspector in uniform? Yes, if the directions are related to traffic control. Continue driving in normal speed. Turn on the four winkers (distress lights) to warn other drivers. Drive faster and use the road’s “hard shoulders”. Slow down and drive at a reasonable speed, which corresponds with his field of vision. Are you required to give right-of-way to the cyclist? No, because a non-motor vehicle should give right-of-way to a motor vehicle. No, because bicycles are not given right-of-way. No, because right-of-way is given to the vehicle that continues driving straight. 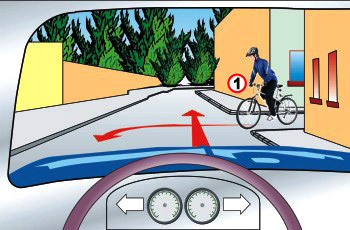 Yes, because the cyclist approaches from the right (1). Where inside a vehicle should the reflective traffic vest be placed? The law doesn’t refer to the vest’s holding place. In the driver’s compartment, except for motorcycles. Only on the driver’s seat rest. Only in intersections with traffic lights. Only in intersections without traffic lights. 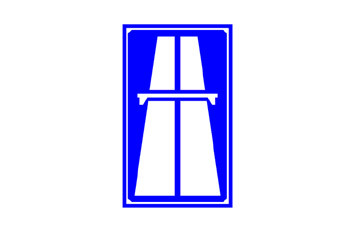 From all lanes, unless prohibited by a road sign. When there is a white unbroken line. Is it obligatory to obey the directions and signals of a policeman, even when a certain direction or signal is opposed to the traffic signs? Under what conditions can a person drive a motor vehicle?